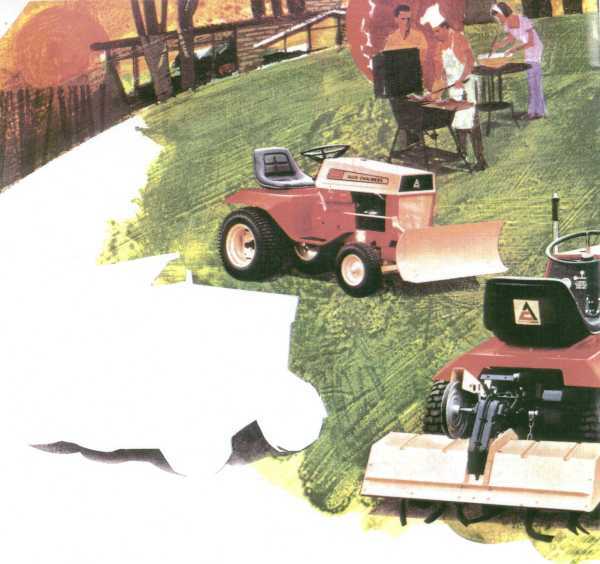 Allis-Chalmers presents 13 easy-to-live-with tractors that can make a Lawn Lover out of most anyone. Have estate size acreage? 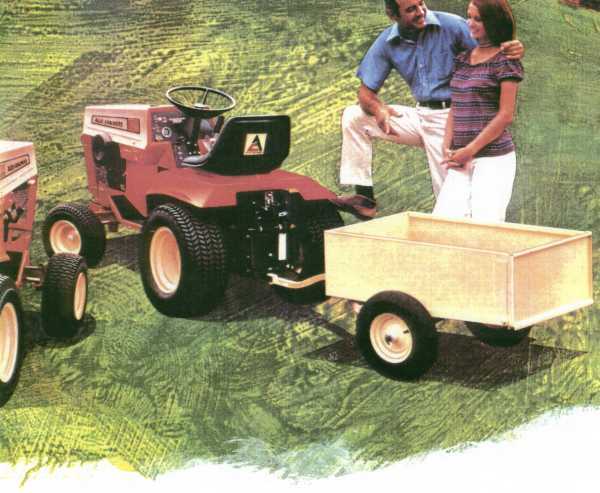 Then one of the 300 Series models -- with all the big tractor capabilities -- will give you all the yardpower you need . . . and then some! If your yard's a bit smaller -- say a quarter acre on up- then one of the Homesteader line will enable you to lavish all the care a fine lawn demands. There's something for every Lawn Lover in the Allis-Chalmers tractor lineup and full range of all season accessories that hook up in minutes . . . without tools. Want to spread some top soil? Hitch up the big rubber tired dump cart and get at it. Or how about a really big garden this year? Nothing to it with the deep digging rotary tiller to blend the soil. And when a snow storm howls in from the North, you're all set for winter with snow thrower or blade on your Allis-Chalmers tractor. So if you're the type of person that takes more than a passing interest in your yard, check out the complete line of Allis-Chalmers tractors ... 6 to 16-1/2 hp. Select the one that's just your size . . and let the fun begin.